Young adults are walking away. Volunteers are hard to recruit. And the culture is changing faster than ever before. There’s no doubt the church is in a moment in history for which few church leaders are prepared. You can look for answers, but the right response depends on having the right conversation. In Lasting Impact, Carey Nieuwhof leads you and your team through seven conversations that will help your church grow and have a lasting impact. Having the right conversations could change your trajectory? There is more hope than you realized? The potential to grow is greater than the potential to decline? Your community is waiting for a church to offer the hope they’re looking for? Your best days as a church are ahead of you? Maybe the future belongs to the churches that are willing to have the most honest conversations at a critical time. That’s what this book is designed to facilitate. 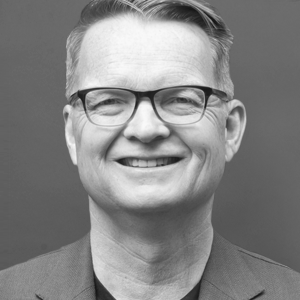 Carey Nieuwhof is the founding pastor of Connexus Community Church, a growing multi-campus church north of Toronto. An author of several bestselling books, Carey blogs, podcasts, and speaks to church leaders around the world about leadership, change, and personal growth. He and his wife, Toni, live near Barrie, Ontario, and have two sons, Jordan and Sam.